Hardwood flooring is authentic and a piece of nature in ones home. Combining the raw material with color and sheen creates a one-of-a-kind design suitable for expressing the personality of the homeowner, says Andrew Denny of Textures Nashville. Hardwood flooring provides a beautiful canvas for which the rest of the house is painted, Denny says. “Hardwood flooring integrates nature and fashion to create a timeless design element in today’s homes. Clients love the authenticity of hardwood flooring as it helps tell the story of their home,” he adds. 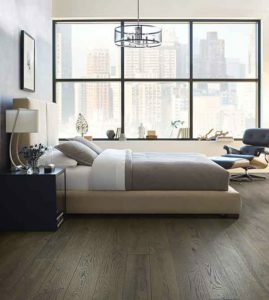 Noting that white oak is one of the most popular species of hardwood, Hodgkins says that Shaw Floors’ Reflections white oak features grey tones and slight distressing that compliment the wood’s natural variations and graining. 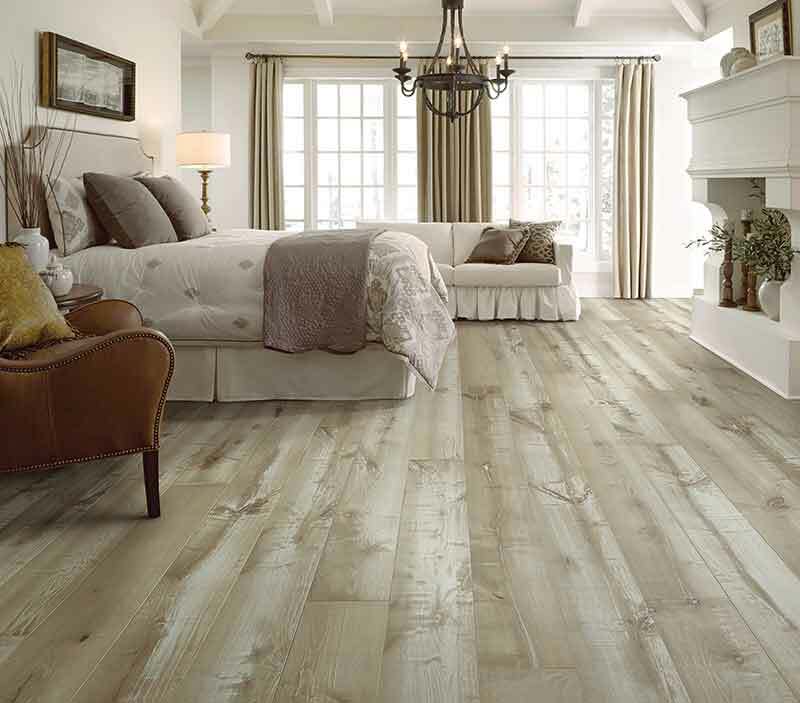 Denny reports that the trend in hardwood colors seems to be natural tones, light taupe grays, and muted tones. “That said, we believe traditional colorings using warm tones are making a strong comeback as homeowners want a more timeless feel, a more Southern traditional feel,” he says. Exotics have taken a sizable hit, as has bamboo. Brazilian cherry, the rage of 10 and 15 years past, is seen less and now replaced by the trendier character grade hardwoods and a return to less pronounced natural colors without the heavy character. Factory prefinished wood flooring remains the selection of choice over actual on-site installation and finishing, many experts say. Reasons include faster completion schedules as the flooring is ready to be used immediately instead of waiting for finishes to cure. Additionally, prefinished warranties are very difficult to top with traditional on-site ones. The majority of manufacturers today offer 25 and 50 year warranties, which generally only cover the actual wear of the finish itself. Hodgkins says that while hardwood flooring plank width trends vary regionally, today’s homeowners often prefer open floor plans and favor longer, wider planks because they offer continuity within those spaces. Popular open concept floor plans allow homeowners to create patterns with flooring to help define each space. Using a wider width plank in the living room may make it feel more grand, while narrow planks in an alcove or reading nook may make it feel cozier and more intimate. As seen in the homes showcased in this year’s Charity Tour of Homes, hardwood floors remain popular. At R. Thomas Construction’s house “The Next,” character grade, 7 1/4″-11″ wide white oak flooring provides warmth and character. David Patton Construction is showcasing a home with random width planks in a medium-to-dark stain, and a spiral staircase highlights dark-stained hardwoods. Like other industry observers, Laura Graham of Remax Elite reports that homeowners generally choose to put hardwood floors in the entire downstairs with it also in hallways and staircases. “Carpet is still popular in the bedrooms,” she says. Denny adds that his company is putting a lot of hardwood flooring in basements. While some textured hardwoods, such as hand scraped and wire brushed, are popular, smooth floors are elegant and classic, according to industry experts.